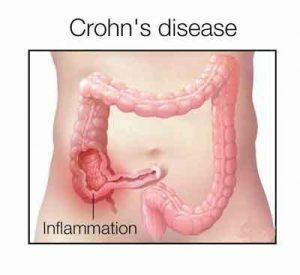 The American College of Gastroenterology (ACG) has published updated clinical practice recommendations for the management of Crohn’s disease in adult patients. The guideline is published March 27, 2018, online in the American Journal of Gastroenterology.It includes 60 recommendations based on GRADE criteria and 53 summary statements in all. The final recommendations are based on the data available at the time of the production of the document and may be updated with pertinent scientific developments at a later time. There has been changing in approach from the “step-up” approach to choosing an appropriate therapy based on a patient’s prognosis. “In the past, we used to treat based on symptoms and we didn’t really prognosticate, whereas now we can look at patients and determine whether they have a good or bad prognosis and use appropriately aggressive therapy at the outset if needed,” according to guideline co-author. Patients with a low risk of progression may manage their disease with non-specific medications, diet, and careful observation. Smoking cessation is very important, metronidazole and ornidazole help to prevent recurrence. Dr.Gary.R.Lichtenstein, who has been instrumental in developing the Guideline, concluded that the guideline does carry a substantial amount of change and noted this has been made possible by learning from clinical studies and clinical practice in other specialties.